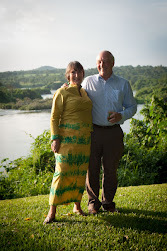 Living and working in Uganda: professional and personal reflections on education and life. The views expressed in this blog are the authors' own and do not necessarily reflect those of VSO or Link Community Development. Hurray, stormy days are here again! What price compassion in Uganda? What are the good things about living in Uganda? What do we do when we're not working? Should the west stop giving aid to Uganda? What can we learn from Kiprotich's triumph? What happened to Uganda's Olympic hopes? What do we think of the video Kony 2012? Is the word 'corruption' synonymous with the word 'Uganda'? Old tales and a new year: what should we learn from the Namugongo martyrs? Have you prayed this morning, madame? What do we mean by motivation? Are we speaking the same language? At last, a conviction for child sacrifice! So, what WERE we doing in Uganda and did we make a difference? Is it goodbye to Universal Primary Education in Uganda? A level, university, vocational education or just get a job? What do we mean by 'motivation'? Can you help us help Royal Pride Academy?